It’s stout time of year again! All my good friends know that fall/winter is my favorite time of year. I get fall fever instead of spring fever. Once temps get down to 20’s-50’s I’m ready to head outside. Football season, hiking, camping, snow boarding (yes, I do have to travel to pull that one off) and of course, darker beers. Recently at Terrapin we created a new addition to our product line – the Terrapin Reserve Series. These are very limited-edition, small batch brews packaged in 22oz bottles hand-dipped in wax. And since this series is starting at my favorite time of year, it is also starting with my favorite kind of beer. 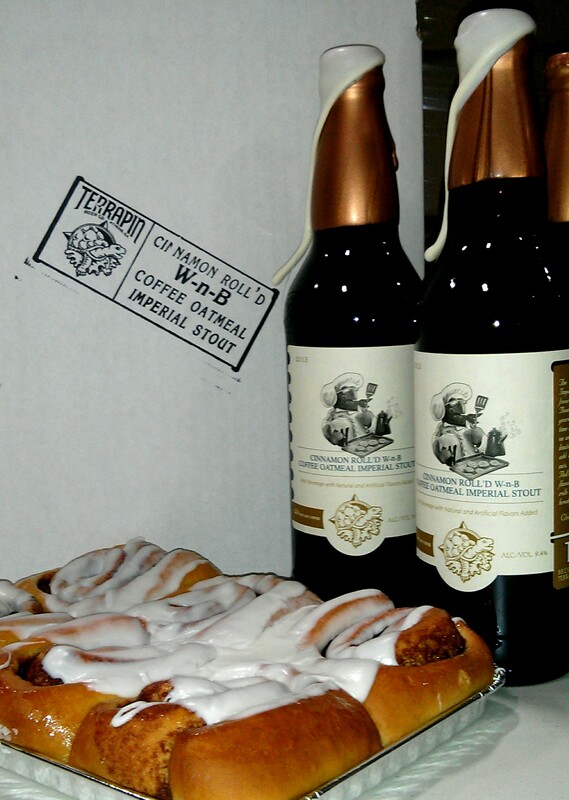 White Chocolate MooHoo and Cinnamon Rolled Wake-n-Bake are the first two beers in this new Reserve Series. Check out the videos that Reid Ramsay from Beer Street Journal put together of our packaging the White Chocolate MooHoo and Cinnamon Rolled Wake-n-Bake. Be sure to listen closely to the second video. Dustin accidentally gives some hints about potential 2014 Terrapin Reserve Series releases. If you are local and want to share a stout with me, check out this event at Friday’s tour. Here’s a sneak peek of the Stout line up for our “All Things Stout” tour. Ummm. I will be needing some of both of those asap in Alabama! They both sound amazing. Kelly, not sure how many of these made it to Alabama. What I can tell you is I’m having a hard time finding them and I supposedly have the inside track. I do look forward to heading back your way in 2014. Stay in touch.